Okay…so Joran doesn’t exactly have the slick look of the other internet guru’s. When Tom Beebe (Thanks Tom) sent me an article about this guy last week, I must admit, besides being upset about the “cashless’ society that the internet is taking us, I had not thought much about the other side— but I am now. So Nobody Asks: Is there a downside to the internet? Men love to invent…and thank God. For the short time they have been here, they went from clubbing each other with clubs, to threatening each other with the atomic bomb proving that many inventions have a double edge sword. One’s man’s ceiling is another man’s floor, and even Paul Simon would admit that he’d rather be a hammer than a nail. While the sheer genius of the atomic bomb can be marveled at…the world is now in continuous fear of the next ‘nuclear’ attack, and some of us wish that it had never been invented..and did they REALLY think the future consequences of it through? And so it is with the new digital technology–like the atomic bomb it is having a downside effect. With all the wonderment that has come with the ease of home computers, there is a man who is pointing out, that it could be the destruction of us all. 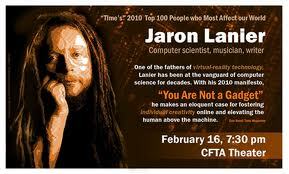 Jaron Lanier, calls this “digital Maoism” indicting “internet intellectuals” like Facebook and Google of being “spy agencies.” He wants to subvert the “hive mind,” as the web world’s been called, before it engulfs us all, destroys political discourse, economic stability, the dignity of personhood and leads to “social catastrophe.” Instead of an ever-upward enlightenment, it is just as likely, he argues, that the crowds will devolve into an online lynch mob. And who could deny this? Remember how excited Obama was about the Arab Spring? Remember how it was declared that the whole thing came about because of FACEBOOK? Without FACEBOOK the riots would not have evolved. But what came of that? 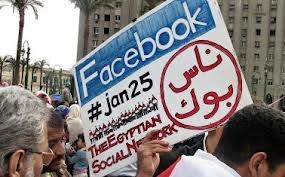 While Zuckerberg was taking victory laps with Obama’s plans to get rid of Mubarak, a huge vacuum was created and the Muslim brotherhood jumped into that hole, and took the reigns of power, leaving the ‘useful idiots” staring at their cell phones and wondering what the hell happened. Since Jason is a musician also, he sees the damage here. Gates, Jobs, Zuckerberg, they just don’t get it because the ONLY job they ever had was creating the internet. But when you’re a musician you dream of the hit record, and with free downloads…the monetary rewards of original music went out with the proverbial free downloads onto your hard drive. And not just musicians…the whole print industry has been changed: thousands of newspapers and magazines have shut down. Think of how many journalists have lost their jobs. And SO much misinformation is put on the internet, it’s hard to tell what’s true and what isn’t. Many of our schools are getting rid of books, and giving the kids IPADS. They have stopped teaching cursive writing…texting will become so big in the future, that future generations will not even know how to make a complete sentence. Already in China, the kids are forgetting how to read, because all they do is text. Not to mention the waste of time everyone spends on their computers. You know, too many of us know someone who has been grieviously hurt by the internet. I know a man whose girlfriend got mad at him, and went online to FACEBOOK and told all kinds of horror stories to their whole network of friends, and it even got back to his work. They were lies, and somehow he forgave her, and they made up, but the damage had been done. This is happening to millions daily. There is no recourse in court….in fact the law can’t keep up with it. And if you think that the powerful people will think twice about hurting society, remember the story of Zuckerberg. When he first invented FACEBOOK as a student, he put up a very demoralizing contest and rated all the women on his campus as “ugly” or “cute” and everyone on campus got to have fun putting down women. Typical liberal. He was old enough to have a moral compass, but he had none. It was…disgusting….and yet, Zuckerberg was forgiven for such an insidious prank because he was a genius. The question is, when these young, rich, and sometimes very immature boys work with Presidents, you DO have a Maoism. Zuckerberg has moved to China to avoid taxes. 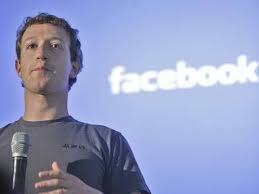 No doubt Zuckerberg thinks he is saving the world, he’s not like Jaron who sees beyond himself. You COULD say that the internet is a young technology..it will work out the bugs in time. I’m sure they thought the same thing about nuclear warfare. 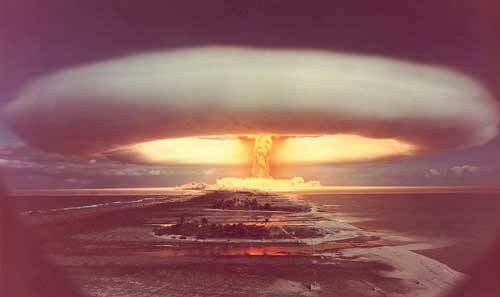 But unlike the atomic bomb…so far, we’ve been kept pretty safe from it..it doesn’t affect our daily lives. But the internet is working it’s magic every single day. 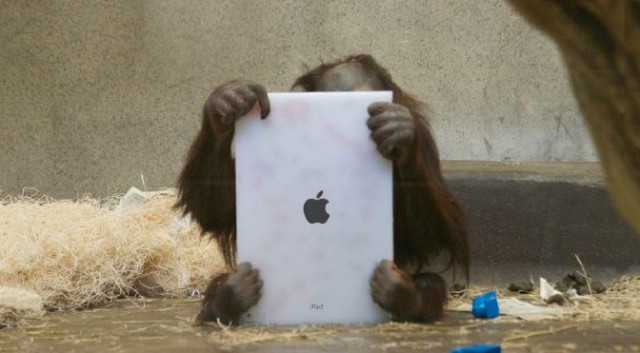 Hopefully…Jaron will make the rich elites think: After all…he’s right…we are NOT gadgets….but like the ‘ape’: We sure do love them.